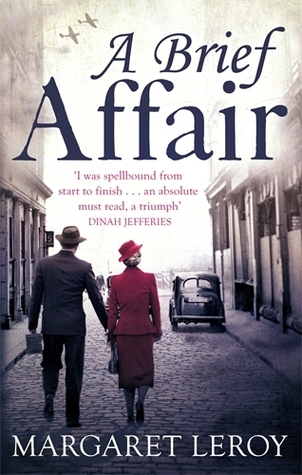 Margaret Leroy, an English author, pens a heart-warming story about love and war, A Brief Affair that unfolds the story of a widowed mother of two girls trying to make her own stand and give wings to her passion for photography during the onset of World war II. While finding her own place in this world, this widowed woman also falls for a charming publisher of a magazine, that leads to A Brief Affair. As the raids intensify, Livia volunteers to be a warden at the invitation of enigmatic Justin Connelly. Here she experiences the true reality and despair of war, a contrast to the world of comfort and cocktails provided in fleeting afternoons at the Balfour Hotel with Hugo. And ultimately, Livia discovers a strength she never knew she had that will give her the power to save those she loves. For when you don't know what tomorrow may bring, there is no choice but to live for today. Livia Ripley is trying to publish her captivating war photography to the publishers for quite a while. She is the mother of two daughters, Polly and Eliza, who with the onset of the growing war and the oncoming raids by the Nazi air force, the girls grew apart from one another. On the other hand, Livia not only found home to showcase her talent through a publisher,Hugo Ballantyne, but also found home for her longing passion for love from another soul. But as the raids grew, she started volunteering as a war warden on Justin Connelly's request and that is where she learns about the true-reality of the war and its victims. The author's writing style is exquisite and is layered with emotions. The narrative is not that alluring but will keep the readers focused because of the in-depth and vivid details. The pacing is bit slow considering the fact the story has lot of back stories and layers that eventually reveal to the readers. The story is enlightening enough to give the readers an idea of what it feels like to make a livelihood near the war zone and the struggle that the people have to go through on a daily basis is strikingly portrayed into the story. The author has arrested the vivid details of the country England during its Nazi air raids and how the people held on to one another in those dark times. The author has painted a strikingly background not only highlighting the major socio-economical as well as political changes in the country in those times but has also highlighted its people, the culture, the streets and the houses. And yes the readers will be transported to that era as w ell as to England through the words of the author. The characters are well-developed, especially the main character, Livia, who is haunted by the death of her sister as well as her husband, then she fearlessly opens her heart to the possibility of love and war. She evolves from being scared to brave and in the end, the readers will feel a longing towards this particular character. The supporting characters are also etched out quite strikingly. Overall, this is an enthralling war-time story that is laced with love and kindness and a must read for all the historical fiction lovers. Verdict: A captivating and a poignant story. Courtesy: Thanks to the author, Margaret Leroy, for giving me an opportunity to read and review this book. I went to Oxford to study music, at St. Hilda's College. In my twenties I tried all sorts of things - music therapy, play-leading with children with disabilities, work in a toy shop, teaching. I also got married - and divorced. Finally I found work I really enjoyed, as a social worker: I qualified at Leicester University, and worked in psychiatry and then in child protection. It's a reviled profession but I found it fascinating: though, intriguingly, in my writing social workers are more likely to be villains than heroes. Around this time I met Mick, who is now my husband - and I started writing again. I became a full-time(ish) writer after our younger daughter was born.